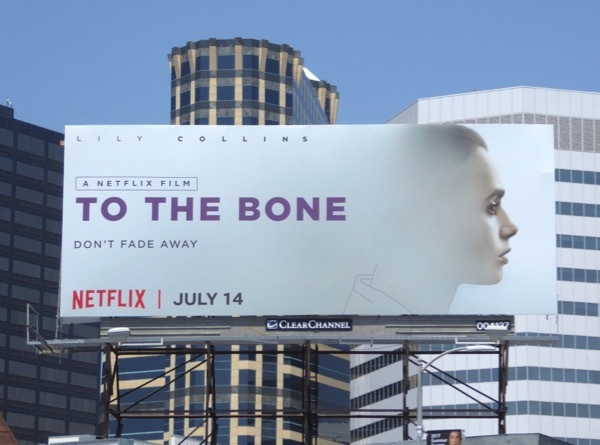 Netflix is not one to shy away from tricky subject matters, but it teen suicide in their critically-acllaimned but controversial 13 Reasons Why, or dealing with anorexia in the new original film, To the Bone. 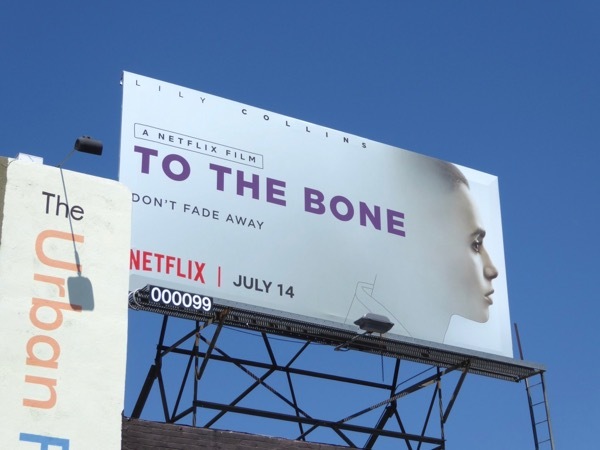 Lily Collins stars as the girl living with the eating disorder who meets an unconventional doctor (played by Keanu Reeves), who challenges her to recognise her condition and embrace life. 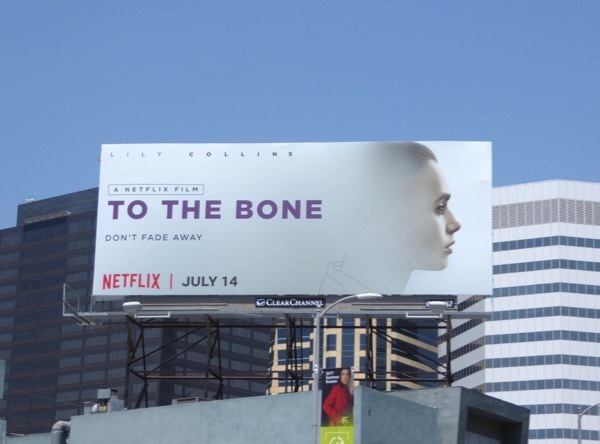 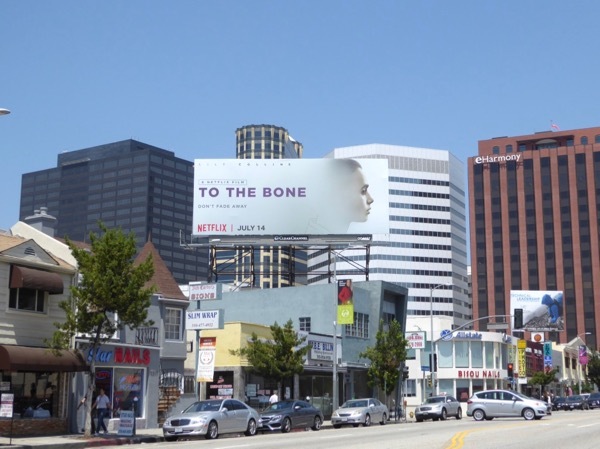 These simplistic billboards for the comedy drama certainly convey the idea of someone fading away and were spied along Hollywood's Vine Street, Beverly Boulevard and high above Westwood Boulevard from July 12 to July 21, 2017. 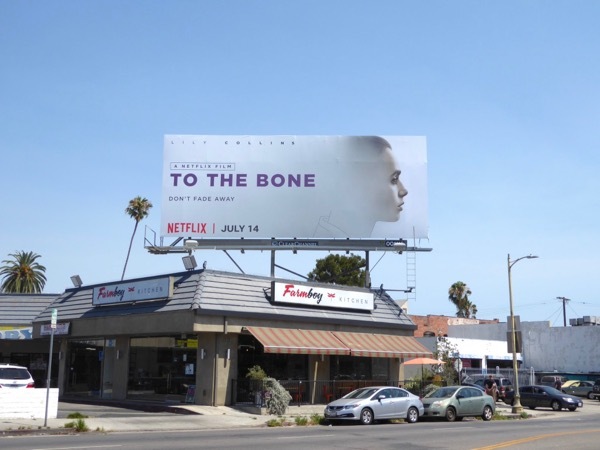 Fans of Lily Collins can also enjoy these Mirror, Mirror movie billboards and these movie billboards for The Mortal Instruments: City of Bones. 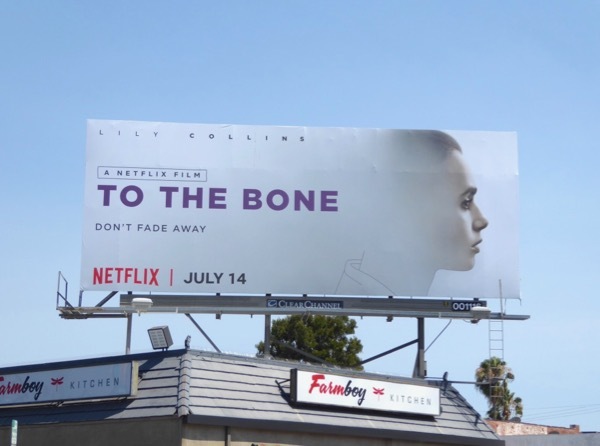 Eating disorders like anorexia and bulimia are nothing to laugh at, but sometimes humour can be a useful tool to get a positive message across when other means fail.